The vacancy at The Citadel has finally been filled in the athletic director's position. The new AD is Jim Senter, who has worked at the University of Colorado for three years. He is 52 years old, and has never worked east of the Mississippi. He graduated from the University of Tulsa in 1985. 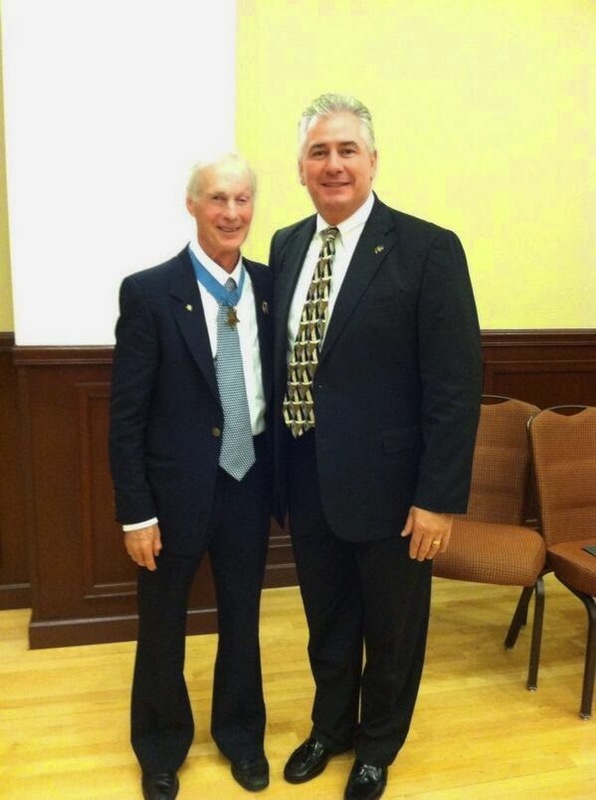 Here is a recent picture of him with Medal of Honor Recipient Tom Norris. Included in his duties is serving as the sports administrator for several programs, including football, overseeing most aspects of the football program, with particular emphasis on human resource needs and coaches contracts. Senter, 52, officially transitioned into that latter role that also carried an associate AD title on Sept. 1, 2011, moving over from the CU Foundation, where he had been associate athletic director for development for five years after being named to that position in June 2006. In his previous role, his responsibilities included all fundraising efforts, including the annual fund (student-athlete scholarships), major gifts and coordinating all donation-related activities and staff. He brought to CU an extensive background in college administration, coaching and fund development. Senter was also athletic director at Idaho State for a year. Senter was a football coach through 1997, as he started as a coach at Coffeyville Community College in Kansas before going to Tulsa. He was an assistant coach at Idaho from '85-'97.